¼ cup fresh shredded coconut meat. (optional) (Look for it at Asian markets in the freezer section). 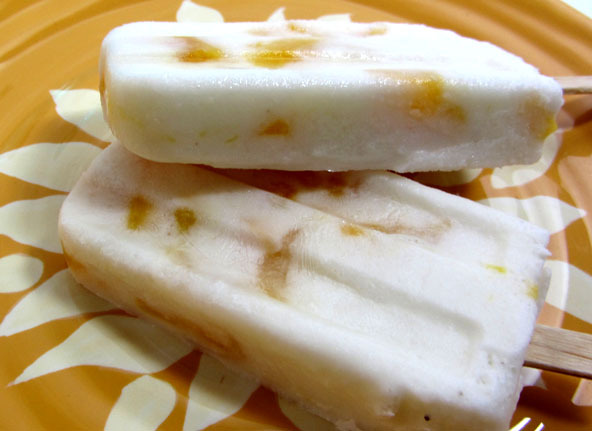 Dry coconut is not so good in a Popsicle– you want fresh moist coconut meat instead. You can buy a young coconut and scrap out the meat or if you want to use dried coconut, soak it in the coconut milk for an hour to get it soft enough to be tasty. 7 drops of vanilla stevia (can use less stevia or use more honey or maple syrup instead. Date Puree is another option though you'll loose the beautiful white color. Blend everything in a blender except for the chopped fruit unless you would like it blended as well. Pour liquid mixture into popsicle molds. Freeze in the freezer for six plus hours or until hard. 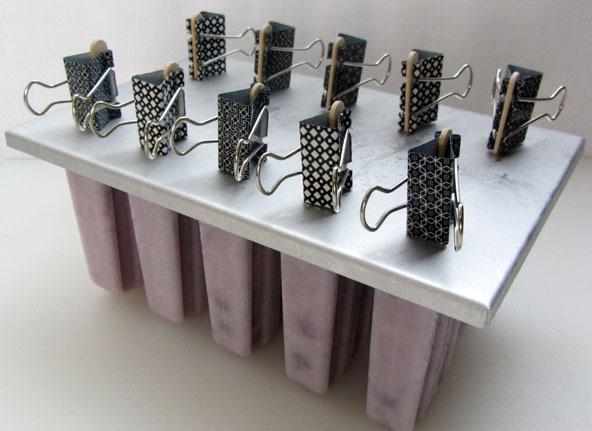 Remove the Popsicles from the molds by pouring warm water over the molds to get them to release. 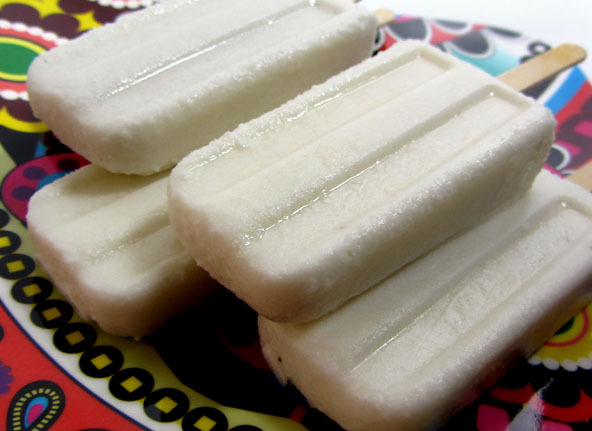 Coconut Popsicles with fresh shredded coconut meat and coconut milk. Yum. I like this quality Poplicle mold but found it needed these paper clips to help keep the Popsicle sticks from getting crooked. If they freeze in crooked you can’t even take the stainless steel lid off to get the Popsicles out and that’s just unacceptable. These clips are essential to resolve that problem.